“Borderline” is an IDeale Keystone in Western Red Cedar and Poplar. 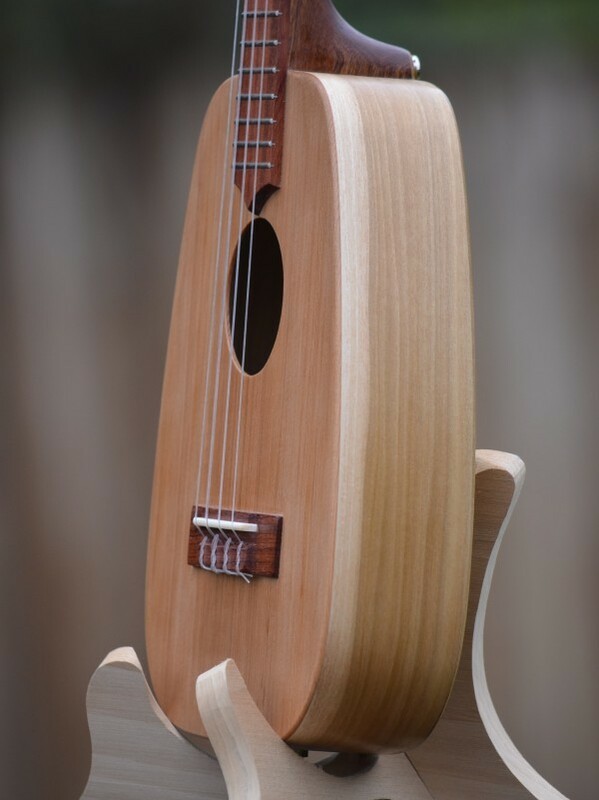 She is the sister ukulele to “Element”. Another study in simplicity, ukulele “Borderline” has everything she needs to make beautiful music and that’s all. 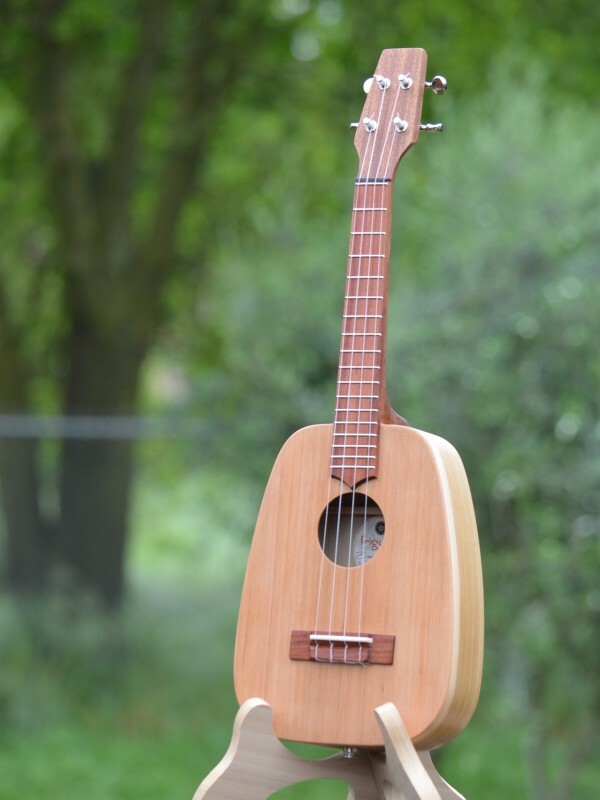 She’s a beautiful ukulele that does just one thing, and does it superlatively. Close your eyes, listen to this uke, feel it in your hands and you’ll understand just how gorgeous simple can be. “Borderline” gets her name from the subtle borderline that appears on her sides. 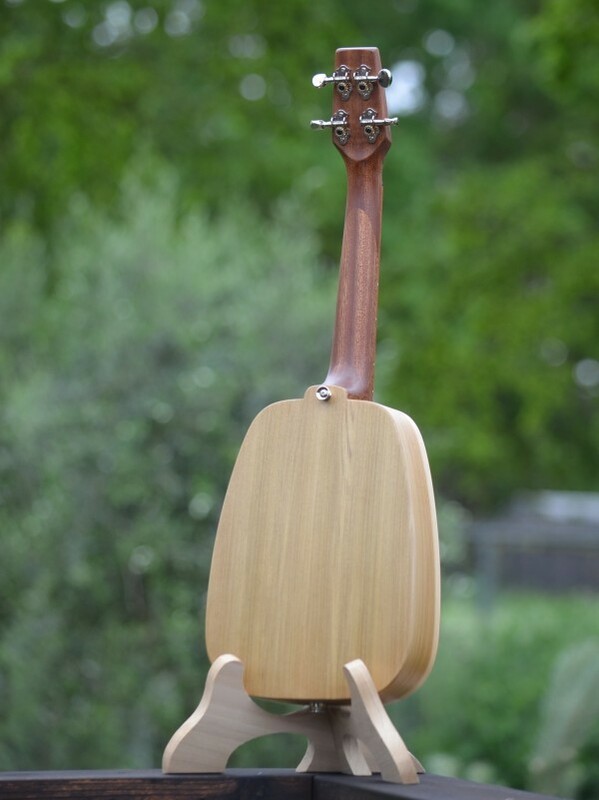 A slight shift from light to dark is nearly all that distinguishes this very clean-looking ukulele.